Ethiopian calendar is based on the Coptic calendar with a leap day, every four years. Ethiopia has twelve months with 30 days each and a thirteenth month called Pagume with five or six days depending on the year. The interactive Ethiopian calendar below provides the monthly and yearly calendar, both in Ethiopian and European dates count, and also shows Ethiopian public holidays. 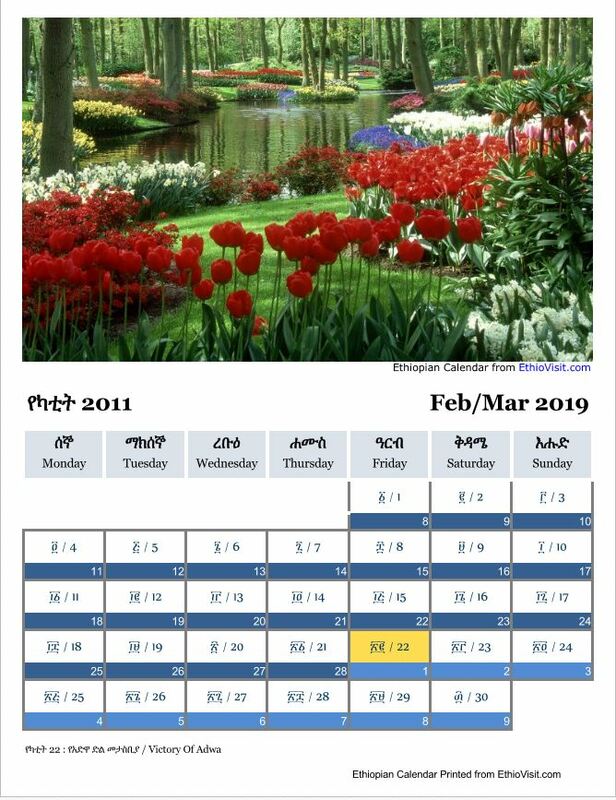 Click here to print Ethiopian 2011 (2018/2019) monthly Calander with beautiful pictures.